Watching the 1978 Trishul again after many years, a short, seemingly mundane scene caught my attention. It’s the one where we are introduced to the middle-aged version of the businessman RK Gupta, played by Sanjeev Kumar, and his superbly resourceful secretary Geeta (Raakhee). What the scene establishes is the pace of RK’s day – the unending phone calls, meetings and damage-control – and his dependence on Geeta (described later in the film as the company’s “Computer”). He summons her, she enters his office, promptly reels off the information he needs; as another employee prepares to leave the room to check on something, Geeta tells him the exact number of the file required. Someone else comes in with a document for the boss to sign; simultaneously a phone rings; Geeta picks it up, takes a message, conveys it to RK while he is signing, then moves past him to pick up another phone. The second caller is RK’s wife, reminding him that their son is returning from vilaayat after two years; he checks his calendar, ruefully says he won’t be able to go to the airport. On the surface, this is very basic shorthand for “work-obsessed industrialist”. But in a film that is otherwise a little flabby in places (and not just around Sanjeev Kumar’s midsection! ), this scene is compact and executed with economy. It isn’t a single shot – there are cuts – but it has the feel of a long, well-choreographed take. The performances and the staging create a sense of a lived-in world, an environment that must be managed with clockwork efficiency if it is to succeed at all. I felt this was a notable establishing scene because most of us, including those who are big fans of 1970s mainstream cinema, think of those films as not too detail-heavy. They are larger than life, built on archetypes: one expects them to do the Big Moments well, mainly through some alchemy of strong writing and acting. Linked as this cinematic mode is to older forms such as the Parsi theatre, the emphasis tends to be on the foreground, on the main characters, what they say to each other, and how this leads the plot from one setpiece to the next. We don’t expect much attention to detail when it comes to “filler” scenes or smaller moments. Today’s films are generally more intricate in these matters. Since I’m talking about Trishul, which was co-written by Javed Akhtar, an easy comparison can be made with a film directed by Akhtar’s daughter Zoya. In Zindagi na Milegi Dobara (ironically the most mainstream of her work, certainly more glamorous and old-world in its form than her latest Gully Boy), Zoya gave us a marvelous scene where a son meets the father he has never known, who had left his mother years earlier. It’s a moment that offers a conversation, across time, space and cinematic idioms, with the more dramatic father-son conflict in Trishul. 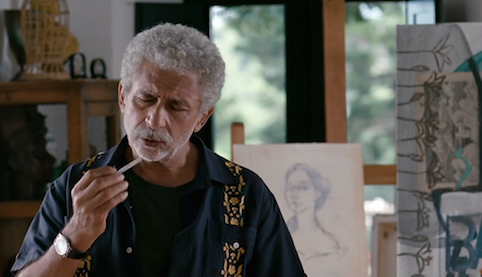 The ZNMD scene gets much of its effect from a whimsical touch: Salman (Naseeruddin Shah) casually rolls a joint throughout the conversation with his son. The office scene in Trishul isn’t subdued or quirky in a similar way, but it performs a comparable function – telling us something important about a character, a situation and an environment with a few minute brush-strokes. The scene also ties in with a larger vision of a mechanized, carefully ordered world where people must sacrifice their dreams and their individuality. Much as RK Gupta himself did as a young man when he discarded love at the altar of ambition (thereby setting the plot in motion), and much as he expects his son Shekhar to do (give up a passion for music and finish a business-administration course instead). But this sterile setting will be ruptured by the arrival of Gupta’s other, illegitimate son Vijay, who shakes things up so much that even the efficient Geeta shows a human side in his presence. 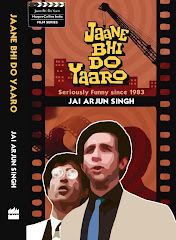 Much has been said about how the Yash Chopra-Salim-Javed films – Deewaar, Trishul, Kaala Patthar – were central to the creation of the Angry Young Man figure. But these films also get much of their narrative tension from the opposition between the climate-controlled world of mansions and skyscrapers and the grittier outside one where people can express their real selves. In the climax of Deewaar, the anti-hero Vijay ends the career of the chief villain by tossing him through the window of a hotel room. Don’t tell Salim-Javed I interpreted it this way, but to me the shattering of that glass represents the destruction of a corrupting space and has the effect of liberating both Vijay and the film itself. An apt resolution to a narrative about individuality brushing up against a world of businessmen, smugglers… and computer-like secretaries. I remember coming across the computer referenece in Trishul some time back and thinking about how ahead of time it might have been in Indian context, in late 70s when the movie came out. The realisation had a somewhat emotional conotation for me. You see, I’m a mid seventies child myself and my dad died in 79. I barely remember him but grew up with a collection of LPs mostly curated by him. He also left behind a digital casio calculator and my mom says even that was still unheard of at that time in our socal circles. Nevertheless, I know he was a movie buff and Trishul’s was one of the records in our collection. Having spent a large part of my life working with IT and computers as a professional, I often wondered if he would have even heard of computers in his time. That particular mention of computers in Trishul suggested he would have at least come across the term, even in a small town in MP in late 70s ! I know this is neither here nor there in the grand scheme of things but just one of those things where the universe helps you connect some emotional chords somehow. The ZNMD scene with Faran and Naseeruddin Shah is really one of my favorites in movies. Speaks volumes between the words actually exchanged. I’m a Zoya Akhtar fan because of that.